Our Architecture + Interiors team won the highest award possible at the 2019 IIDA Interior Design Excellence Awards from among over 100 projects for the CEDIA global headquarters building in Fishers, Indiana. 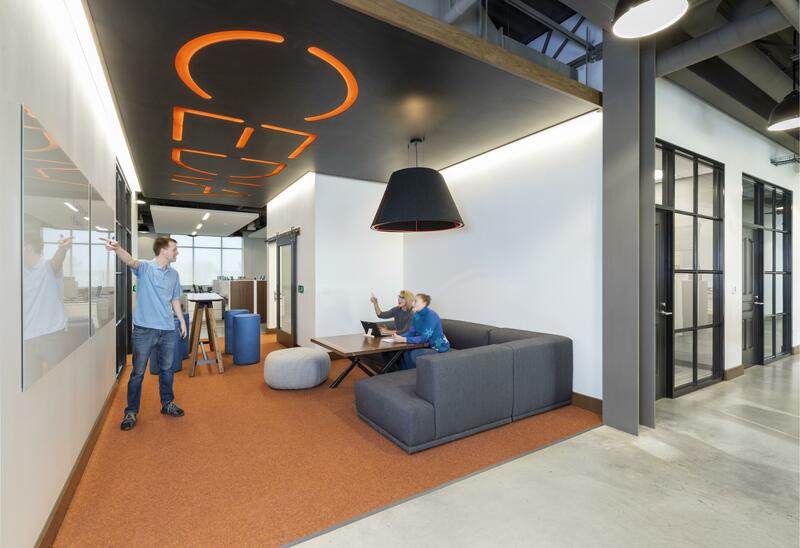 The headquarters won Best in Show and the first-place award in the competition’s Corporate/Commercial New Construction category. 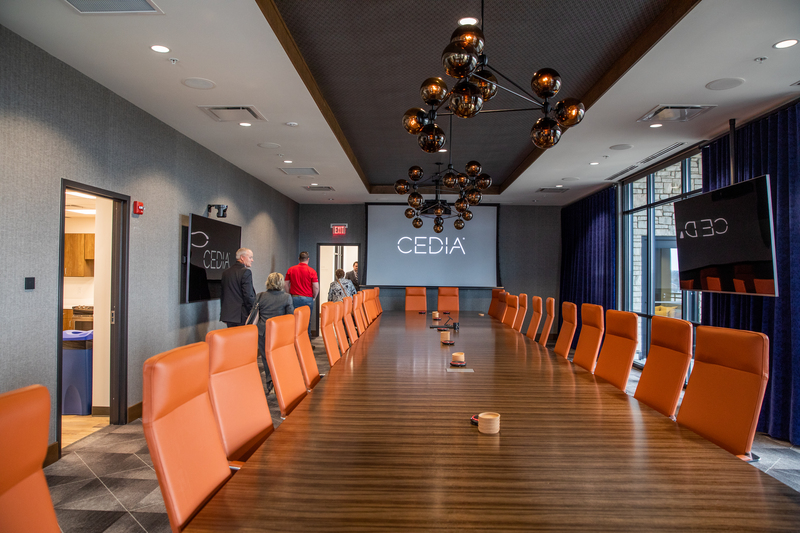 Our architectural and interior design team more than succeeded in providing a distinctive high-tech showcase in which CEDIA can display for its members the latest advances in smart-home technology. A real show stopper of the space is a 10-foot-tall wire chandelier above an open staircase that depicts the overall interior design concept blending residential design with a flair of technology. A 3,000-sft experience center is another key component our team designed featuring a living room, bedroom, and a home theatre more powerful than an IMAX to spotlight residential smart technology. Hundreds of people had the opportunity to see the results of our architecture and interior design expertise when CEDIA hosted a grand opening celebration on March 28. A huge congratulations to everyone who collaborated to design this awesome project! 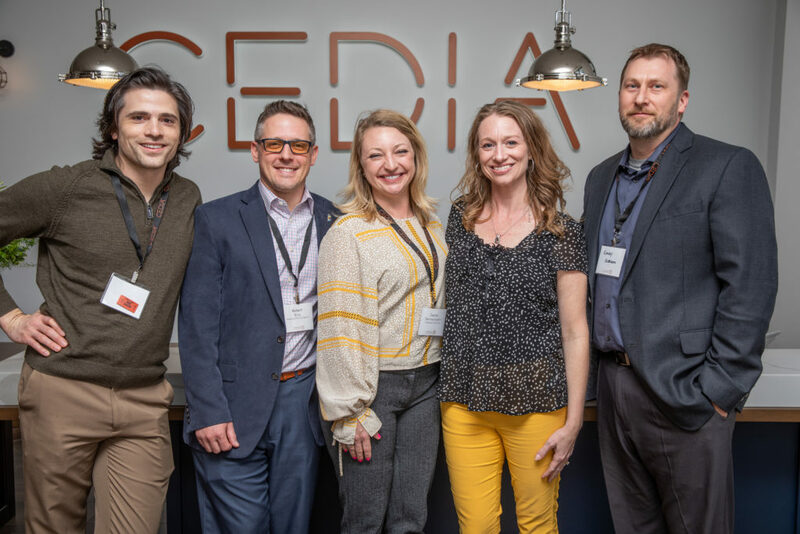 From left to right: American Structurepoint employees attending the March 28 grand opening – Dan Burch, Rob Bray, Carrie Sermersheim, Erica Irvin, and Randy Robison.